You may have wondered whether or not you actually NEED a cover letter. After all, some job openings ask for them and some don’t. Are they even read anymore? And, do you need to bother? My answer to clients is a resounding YES. After all, I’ve never heard of someone NOT getting an interview opportunity because they sent a cover letter and they went above-and-beyond the requirements. So, what should you do to make sure you cover letter stands out and isn’t thrown in the trash? 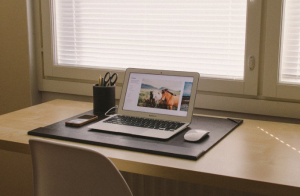 Read below for my 5 must-have ingredients to create an impactful cover letter. 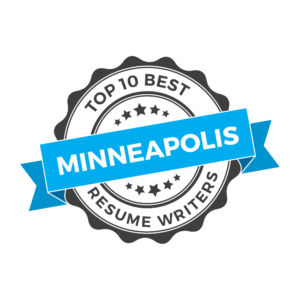 #1 – Focus on the employer in the FIRST paragraph. Instead of starting out stating why you want the job and where you want your future career to go, you need to demonstrate why you can make an impact with the organization and HOW that will help them. They need YOU to solve THEIR problems. #2 – Start giving the readers some skill-sets that will help in the open position. 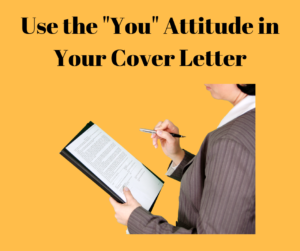 Even then, you need to keep the “you” attitude and focus on the employer. For example, say something like, “Your organization is ready for someone that can build ongoing partnerships, establish contracts, and work closely with external partners – these are all skills I’ve honed while working with ABC Company.” See what we did there? Rather than saying something like, “My skills include….” – we have turned it so the focus is—once again—on the company. #3 – Use three or four bullet points in the middle of the letter. Don’t use one-word bullets and don’t list your skills. INSTEAD, focus on two or three past achievements or accomplishments that align with the job opportunity. This means that you focus on how many clients you landed within 90 days, the number of employees you supervised, the dollar amount of the account you secured, etc. Use numbers, percentages, and dollar amounts whenever possible. #4 – Be positive and CONFIDENT throughout the letter. It’s vital that you don’t say thinks like “I think,” or “I feel,” or “I’m almost positive.” Instead, say things like, “I know,” “I’m certain,” or “I am positive.” Don’t think of it as bragging—think of it as stating a fact that you are AWESOME at your job and KNOW how to get things done. #5 – End with “I’m excited to hear from you,” or something similar. Don’t mention that you will call in three days or that you “hope” to hear from the hiring manager. I’m not saying that you shouldn’t follow-up with the organization, but you don’t have to use your cover letter space to do so. And, for those that still may think you don’t need a cover letter. Wouldn’t you rather be prepared and NOT need it versus need it and NOT have it? Finally, I always tell my clients that they can certainly use the verbiage (or at least some of it) for an email to the hiring manager or in an online application system. 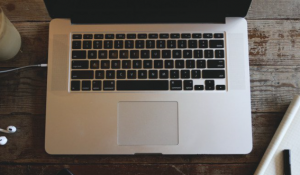 Still not sure where to start with a cover letter? Download my Cover Letter Checklist that GETS INTERVIEWS. These days, it’s all about saving time and resources for the company. This includes during a candidate search for a position. And, it’s fairly common for many companies to conduct phone interview or phone screenings first to determine if you—the job seeker—are one of the right candidates to bring in for a full interview. While it may not seem like a big deal to answer questions on the phone, you need to be sure to follow these key steps to ensure you make a favorable first impression. Tip #1 – Be on time. Most likely, the company is calling you. That means you have your phone by you at least 10 minutes before the scheduled call—just in case the company calls early. And, if you are on a cell phone, be sure that you have it fully charged prior to the call. There is nothing worse than a dwindling cell phone battery when you know a call may be long. Tip #2 – Take the call in a quiet place. Have you ever been on a call with someone that was in a loud location and it was difficult to hear? Right—you DON’T want to do that. If you currently have a job, perhaps you take the call in your car or—if you are at home, be sure your dogs, cats, and children are not around or in another part of the house at that time. Tip #3 – Stand up and smile. While this may seem a little out-of-place for a phone interview, it’s really not. When you stand up, you feel more confident and are likely to appear more professional. In addition, if you can stand up and speak in front of a mirror, you will likely smile more and sound more pleasant. Tip #4 – Prepare ahead of time. Don’t treat this as a ‘formality’ and take the phone interview seriously. While it may be only the first step in the process, it is a step that you must pass in order to get to the in-person interview. Research the company, know your strengths, understand why you are the right candidate for the job, and show that you are a true professional. Tip #5 – Ask about the next steps. By asking about the process the company is using to hire for the position, you will show your interest in the job and that you are serious about the possibility of working for the company. This also gives you an approximate timeline for following-up with the interviewer. Don’t take a phone interview lightly. While it may be only the first part in a screening process, if you can’t make it pass the phone interview, it is unlikely the company will contact you again. So, be sure to put your best foot forward during this time and evaluate your performance during the interview so that you can make modifications for the next interview. Still not sure about your interview skills? Contact us today – we offer interview coaching to get you ready-to-go for your next employment prospect! P.S. Don’t be afraid to get our FREE download – Top 5 Resume Tips to GET THE INTERVIEW>>>Click HERE to access it for some amazing resume tips! In a typical day, I will get several emails via my website and respond to the potential clients with varying package offerings. My basic package is a resume only and the second package offers a resume and cover letter. The additional offers then include LinkedIn profiles and interview coaching. One of the most common questions I receive is the following: “Which package do you think I should go with? 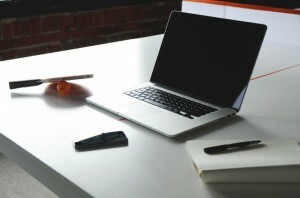 Do I need a cover letter?” My answer is typically YES. 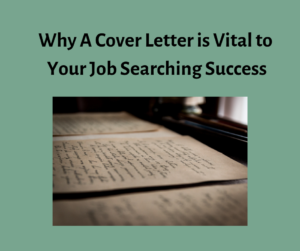 Here’s the reason: Even if a job opening does not REQUIRE a cover letter, I’ve never heard of anyone NOT getting hired because they went above-and-beyond and sent a cover letter. Oftentimes, an online application has an ‘additional’ file category or an ‘optional’ cover letter attachment. Why not include a cover letter and share even more of your skills, abilities, and accomplishments? So, what’s the purpose of a cover letter? Is it a summary of the resume? When done correctly, the cover letter can further tell the story of the applicant and can discuss additional strengths that can be brought to the workplace. After being at several national resume writing conferences, I can tell you that some recruiters read the resume first and some read the cover letter first—it’s a personal preference. However, when the cover letter is read first, it can provide a great first impression and memorable statement for the candidate. #1 – Keep it concise and one-page maximum. I met with a client recently that showed me several of her old cover letters and they were all two to three pages in length. That is simply too long and the reader won’t read through the material. In addition, if you are trying to show that you are a jack-of-all-trades, you are probably showing that you are master of none. #2 – Use bullet points. Rather than large blocks of text, use a few short paragraphs and three or four bullet points in the middle of the cover letter to attract attention. These bullet points are a quick and easy way to change information depending upon the job opportunity. Be specific and showcase several of your past accomplishments that are directly in-line with the potential job opportunity. #3 – Address the cover letter to an actual person. Never use “To Whom It May Concern” or “Dear Sir or Madam” as the salutation. Do everything in your power to find out the name of the hiring director or HR professional. And, if all else fails and you are unable to find out the person’s name, then use “Dear Hiring Manager” or “Dear Human Resources Leader.” This salutation comes across as more personal and less like a form letter. If you would like more tips on creating a cover letter that gets results, be sure to download our Cover Letter Checklist by clicking HERE!